English professor John Keating inspires his students to a love of poetry and to seize the day. This is a really good movie, with a stellar setting, some very good young actors and a story worth telling. 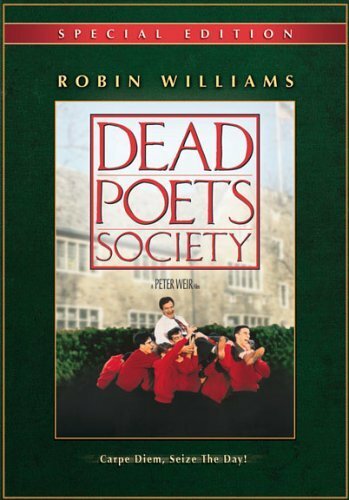 Robin Williams is my favorite, since his character is a drama/poetry teacher he also gets to use his talent for other than just his part, but also to show passion for drama as a whole. It's a sad movie, that ends up making you wanna siege the day!